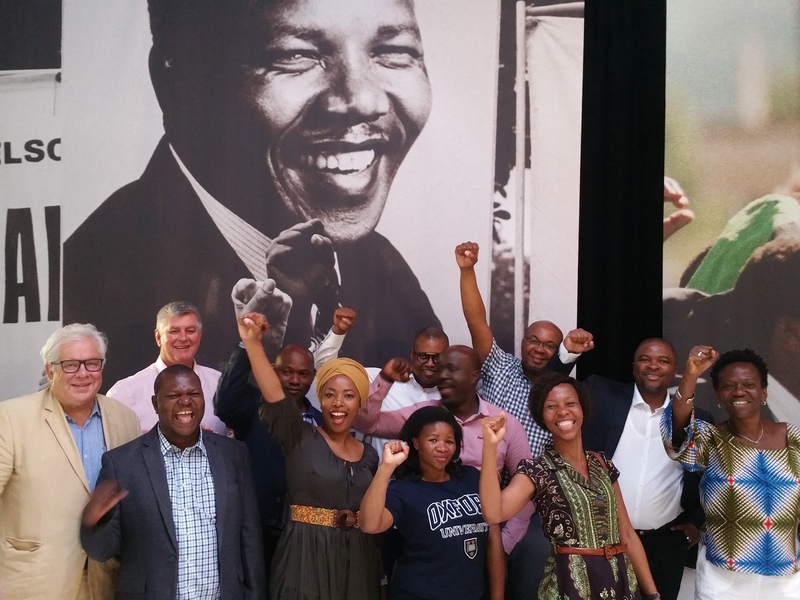 John Battersby reflects on an extraordinary five weeks of honouring and celebrating the life and legacy of Nelson Mandela in a series of exhibitions and events reserved for few British and global political icons in the past century. There is no question after his centenary that in Britain Mandela is on a par with Winston Churchill, Mahatma Gandhi and Martin Luther King when it comes to visionary leaders. In the official brochure handed to the millions of people from around the world who visit the Palace of Westminster each year, there are only three people whose names appear in the text apart from the reigning monarch, Queen Elizabeth II. The first two are Guy Fawkes and King Charles I, who were convicted and sentenced to death in Westminster Hall for treason and executed for their efforts to disrupt the proceedings of the British Parliament: Fawkes for leading the plot to blow it sky high and Charles I for his overt interference with the parliamentary realm. The third mention goes to Nelson Mandela who “famously addressed both Houses of Parliament”. In 1993, Mandela become the first leader afforded the honour of addressing both houses of the British Parliament in Westminster Hall before becoming head of state in South Africa. The only other person to do so was then Burmese opposition leader Aung San Suu Kyi in 2012. In 1996, Mandela became the first leader to have the honour bestowed on him for a second time. National leaders who have done so once are French presidents Albert Lebrun and Charles de Gaulle and US presidents Bill Clinton and Barack Obama. I was present in Westminster Hall in July 2003 when Mandela was in the hallowed venue for the third time to address Rhodes scholars at the launch of the Mandela Rhodes Foundation at Oxford. Mandela was already becoming frail and was helped to walk the length of the cavernous hall after the event by then Prime Minister Tony Blair on the one side and former US President Bill Clinton on the other. The image is etched indelibly in my memory. And I was in Parliament Square on that unforgettable day on September 2007 when Mandela’s statue was unveiled in a precinct populated by British leaders over the last century. Then British Prime Minister Gordon Brown, Mayor Ken Livingstone and the late Wendy Woods, representing her late husband Donald Woods who proposed the statue, were on the podium. The only statues in the square which are not of former British Prime Ministers are former South African Prime Minister Jan Christiaan Smuts, a close adviser to Winston Churchill, and India’s Mahatma Gandhi. US President Abraham Lincoln looks on from across the road. Mandela loved telling the story of how in 1962, when he was underground and paying a clandestine visit to the UK, he stood outside Westminster with his friend and former ANC President Oliver Tambo, and joked that perhaps one day there would be a statue of a South African president in the square. On the 12 December 2013, seven days after Mandela’s death, Westminster Hall was again packed with the cream of the British establishment and the leaders of Anti-Apartheid Movement. 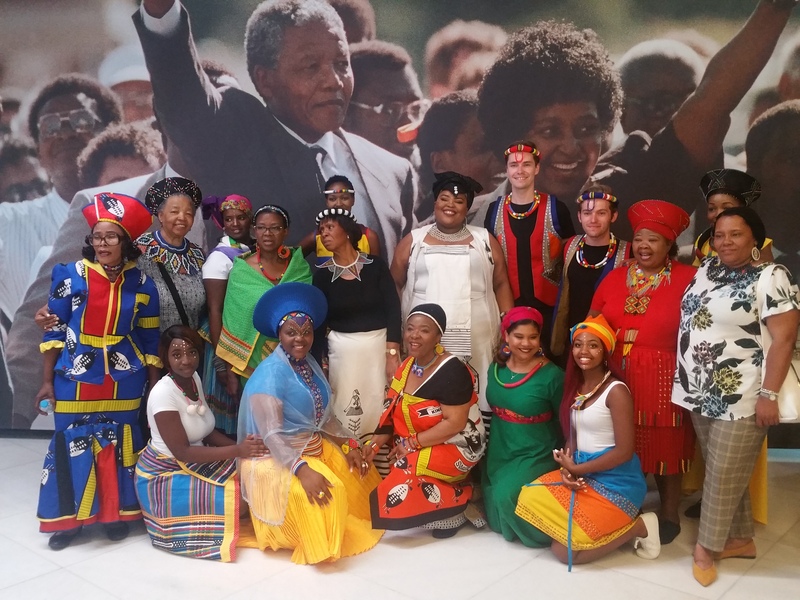 Singer Joan Armatrading assembled a special choir for the occasion and Speaker of the House of Commons John Bercow wore a tie embossed with the colours of the South African flag. The official memorial in Westminster Abbey was held in March, 2014 and attended by 2,000 people in the presence of Prince Harry, then Prime Minister David Cameron and Archbishop Desmond Tutu, who delivered a eulogy at times in hushed tones to highlight some of his anecdotes. The Dean of Westminster, the Very Reverend Dr John Hall, announced at the service that a memorial stone would be placed in the Abbey in due course. But nothing could have prepared admirers of Mandela and the British public for the outpouring of celebrations and events to honour the late South African leader and global icon which unfolded in London before and after the centenary of his birth on 18 July. 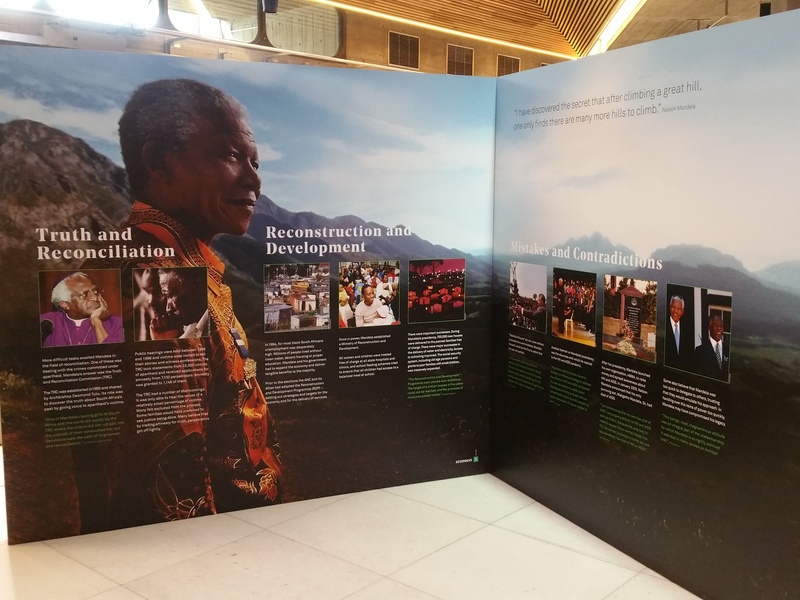 The Centenary Exhibition at Southbank Centre, seen by 25,000 people over the past five weeks, was a triumph of multi-media collaboration and interactive presentation as it guided viewers through the six stages of Mandela’s extraordinary life with the themes: character, comrade, leader, prisoner, negotiator and statesman. 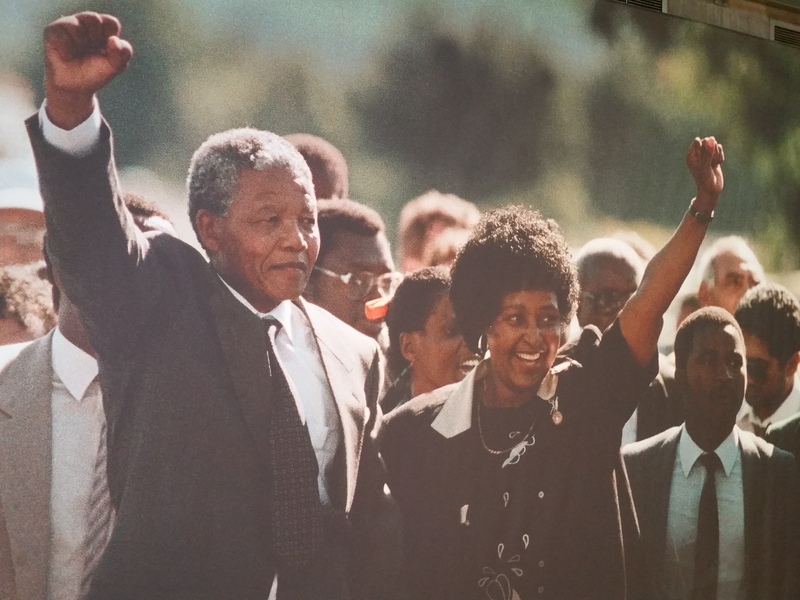 Using text, images, artefacts and video, the exhibition gave new insights into what influences and life circumstances contributed to the leadership that was instrumental in the liberation of South Africa and inspired millions around the world through Mandela’s example of reconciliation, forgiveness, magnanimity and steadfastness. The exhibition at Southbank’s Queen Elizabeth Hall foyer included eight associated events. These included the Mandela Legacy Debate, Sir Nick Stadlen’s award-winning documentary on the Rivonia trial – Life is Wonderful: Mandela’s Unsung Heroes – and the launch of Grandad Mandela, a children’s book written by Ambassador Zindzi Mandela, Mandela’s youngest daughter, with the late Nomzamo Winnie Madikizela-Mandela, and her grandchildren, Ziwelene (6) and Zazi (8). There was a staged reading from Robben Island Shakespeare by Matthew Hahn and documentaries on former Public Protector Thuli Madonsela – Whispering Truth to Power – and One Humanity, One Justice, Tony Hollingsworth’s account of the Mandela concerts at Wembley and Hyde Park in 1988 and 1990 and how global television rights changed the game for the Anti-Apartheid Movement. A children’s trail and competition organised by the Nelson Mandela Children’s Fund engaged young visitors. A touching water-colour submitted to an art festival following Mandela’s death in 2013 by then nine-year-old Isabella Jennings of Mandela gazing through the bars of his Robben Island cell was one of the exhibits. 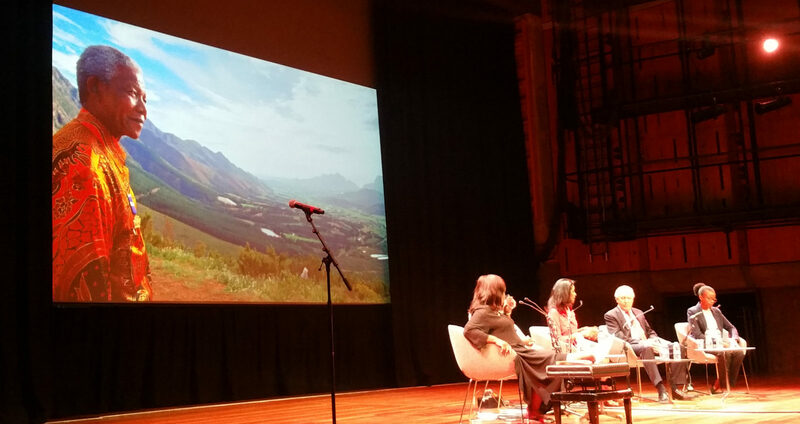 Away from Southbank Centre, there was a host of events before and after the centenary including: the Freedom of the City of London awarded to surviving Rivonia defendant Andrew Mlangeni (93) at Guildhall in a ceremony that dates back 1,000 years. Mlangeni attended the exhibition launch and headed the line-up for the Duke and Duchess of Sussex, addressed a dinner of invited guests where he told his life story, was guest of honour at a champagne reception at Coutts Bank and topped the week with a game of golf at Wentworth. His minders had to restrain him from travelling to Scotland for a golf tournament. At the dinner in his honour, Mlangeni went to great lengths to stress that he and his colleagues under Mandela’s leadership decided that they would not allow the prison warders to humiliate them and they would always insist that their human dignity was respected. At the same time, the prisoners would befriend the warders and use their superior education and experience to show them another way, because one day “we might have to work with them in building a new South Africa”. Other events in those weeks included the British Council’s own Mandela exhibition focusing on youth and arts and culture; the British Library had an event based on the transcript from the Rivonia trial; The Prison Letters of Nelson Mandela was launched at a moving ceremony hosted by English Pen; the launch of Lord Hain’s book Mandela: His Essential Life drew a capacity audience at South Africa House, and Mandela’s grandson Ndaba launched his reflective book, Going to the Mountain. The most moving event was the service at Westminster Abbey on 18 July, centenary day, attended by about 1,000 or so people in Westminster Abbey led by the Dean, Dr Hall. Dignitaries in the front row, seated close to the stone, included Sir Sydney Kentridge, who defended Mandela in the 1956/57 Treason Trial; former South African student leader and anti-apartheid activist Margaret Marshall, the first woman to serve as Chief Justice in the Massachusetts Supreme Judicial Court; Baroness Emily Thornberry, shadow foreign secretary and Zamaswazi Dlamini-Mandela, Mandela’s granddaughter from his first marriage, who unveiled the stone. The invited guests were stunned to see the first South African to be honoured in this way have his memorial stone placed in the middle of the nave in front of the altar. The service was elevated by two superb choirs: one British, singing sacred choral music, and the other a choir assembled by South African Diaspora convener Lucy Ramadimetje Mashigo and led by South Africans Nic Vani and Pearl Masike-Vani from the blockbuster West End hit, the Lion King. “It was an extraordinarily beautiful and moving service,” said Sir Nick Stadlen, director of the Rivonia trial documentary. First, it reminds us that while Mandela is being used as a political punch-bag by some elements of youth in South Africa, he is untouchable in the UK because of the enduring human qualities of inclusivity, humility and serving the community which he advocated by living them, rather than preaching them. The word in royal circles is that the Queen regards Mandela’s example of forgiveness above all else and there was clearly a great rapport between them. While the anger and disillusionment of the youth in South Africa is understandable, given the worsening inequality and unacceptable levels of unemployment in the country, it is an expression of ignorance to blame Mandela. Without his intervention, we would not have had the opportunity for a new beginning, with institutional protection for private property and individual and minority rights. Secondly, and as Stadlen’s brilliant documentary illustrates so clearly, Mandela changed from being a militant Africanist to a non-racialist committed to parliamentary democracy because he came into contact with white, Indian and coloured South Africans who were as committed as he and his colleagues in the ANC were to ending the evil system of apartheid. Thirdly, it was this committed multiracial group of South Africans – black, white, Jewish and Indian – and led by Mandela and Bram Fischer, head of the legal team and underground leader of the South African Communist Party, who changed the course of history with their stand at the Rivonia trial and ensured the chance of a negotiated settlement three decades later. The last two living examples of this selfless, principled and uncompromising band of brothers are Mlangeni and Denis Goldberg. Neither were leaders. They were both ordinary people, one black and the other white and Jewish, who did the right thing. They are the last living examples of the Mandela vision and provide perhaps the last glimpse of a South Africa which lived up to that vision. John Battersby is a London-based journalist, author and consultant. He is the co-author of two books on Mandela. He is a member of the Nelson Mandela Centenary Committee, chaired by Lord Hain, and was the committee’s head of media and communications for the five-week run of the Nelson Mandela Centenary Exhibition at London’s Southbank Centre. The exhibition was a collaboration between the Apartheid Museum in Johannesburg, the Anti-Apartheid Movement archives in Oxford and Southbank Centre.